A fun challenge that goes around Instagram periodically is the 10x10 challenge, created by Lee from the Style Bee blog. Essentially you choose 10 pieces to mix and match for 10 days. I've done it a few times, but wasn't sure if I was up to it late in my pregnancy. I'm glad I decided to go for it, because I came up with some fun new outfits and hopefully a little maternity style inspiration. Here are the 9 pieces of clothing I chose: 2 tank tops, 2 tops, 2 pairs of pants, 1 pair of jeans, and 2 dresses. I also chose two pairs of shoes, so technically I had 11 official pieces instead of 10. That's cool, I always say do what works for you. By doing some creative layering, it was easy to come up with 10 outfits. What do you think? Doable? I found it to be just a fun exercise when you've gotten a little bored with your wardrobe. Try it! WANT TO CREATE YOUR OWN CAPSULE WARDROBE? 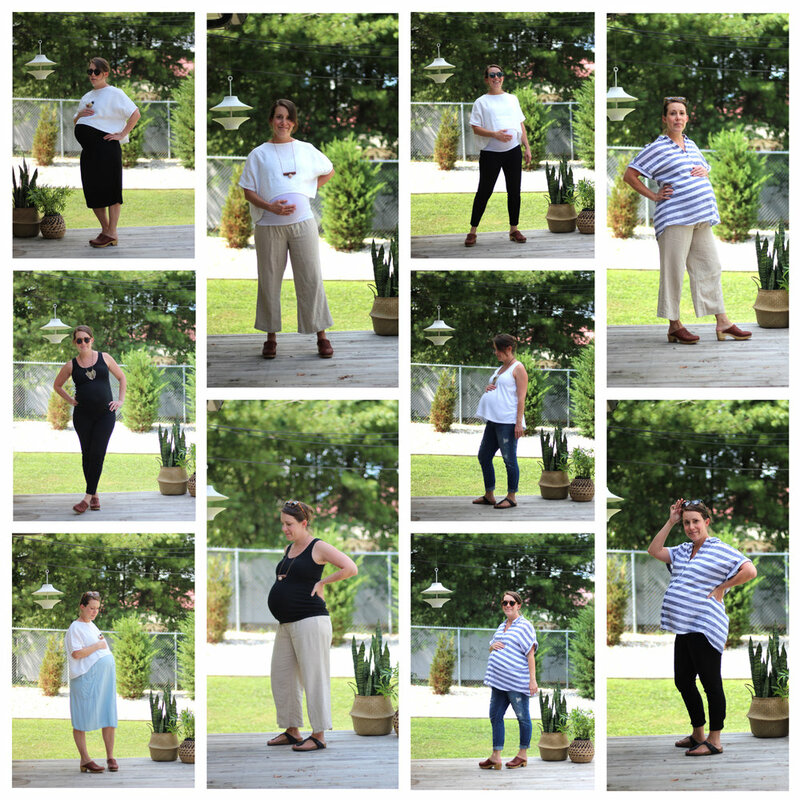 GET MY CAPSULE WARDROBE WORKSHEET AND EMAILS LEADING YOU THROUGH THE PROCESS - AFTER 5 DAYS YOU'LL HAVE A CAPSULE READY TO GO!